I was going to review this CD a while back, but finally got the time to do it now. 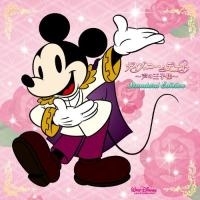 The CD I'm going to review is called ディズニー・デート～声の王子様～ (Disney Date ~Princes of Voice~). There are actually three volumes released to date. I'll review the other two volumes at a later date. Yes, it's in Japanese (since when (post-high school time) do I listen to anything other than Japanese? lol). What: Japanese male seiyuus singing classic Disney songs, and narrating Disney stories. Who: Kamiya Hiroshi, Suzumura Kenichi, Fukuyama Jun, Sakurai Takahiro, Sugita Tomozaku, Midorikawa Hikaru, Morikawa Toshiyuki, Seki Tomozaku, Irino Miyu and Yamadera Koichi. When: Released 22nd Feb 2012. 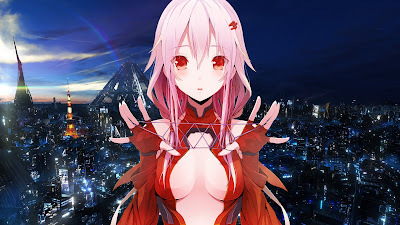 If you liked my Guilty Crown Chrome theme yesterday, then you might want to save this image that was used in the theme! It is quite a good picture with a dark cityscape background with Inori brightly shining at the front. This is an amazing wallpaper!